Now creating an Image with Image Sequence of a Video is easy and fun to do on Mac OSX. 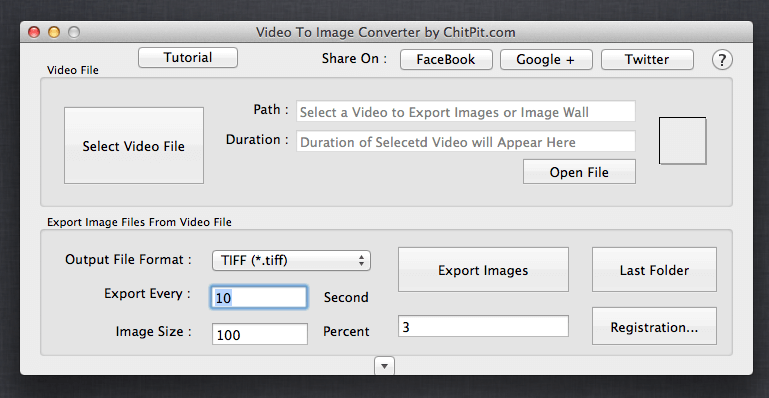 The Video to Image Converter for Mac OSX 10.6 and later allows you to extract Images from a Video File. Once you have extracted Images from the Video, you can quickly create an Image Sequence or Image Wall from the extracted Image Files. The Image Sequence Image File is a file with multiple image files displayed all together in a single Image File. The Image Sequence file can be really handy when you wish to share a large video and provide user to preview the Video using a single Image File. 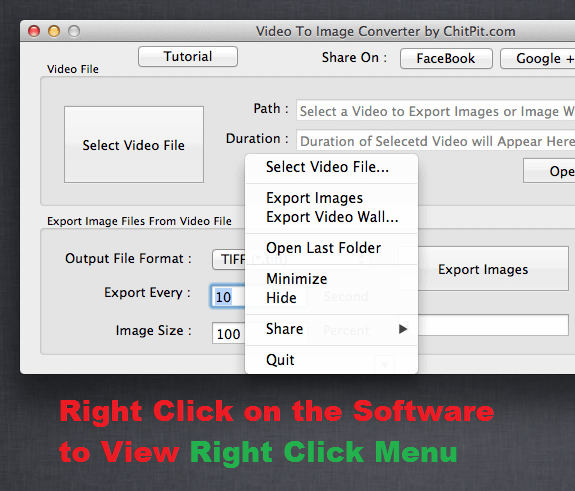 The Software used to create Image Sequence File is the Video to Image Converter for Mac OSX and has been previously covered on this blog. This new post highlights new features of the Image Converter which enhances the usage of this Mac OS X utility to extract and combine image files in a single PNG, JPG, JPEG, BMP or a Tiff File. In order to create an Image Sequence or an Image Wall from a Video file on Mac OS X with Video to Image Converter for Mac OS X, Right Click on the Software and select the Export Video Wall menu option. Output File format is configurable for the Image Sequence File as well. Yes there is in inbuilt help button providing step by step tutorial to create an Image Sequence File as displayed in the screenshot below. The given below procedure provides quick and easy tutorial on how you can Extract Image Files from a Video and then convert the Extracted Image Files to a single Image Sequence File. When extracting Image Files from a Video, you can optionally re-size the extracted image files so as to create thumbnails of the video. In other words, you can an inbuilt Image Resizer available during the extraction of Image Files from the Video. 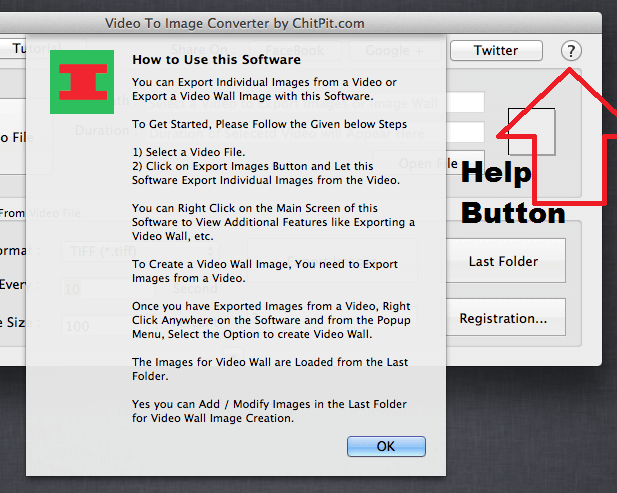 Download & run Video to Image Converter for Mac OSX. 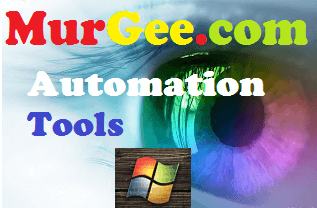 It does not requires any installation and can be used on any Mac running Mac OSX Version 10.6, 10.7, 10.8, 10.9, 10.10 and even the latest Mac OS X 10.11. Click on the Select Video File button and select an existing Video File in either .mp4, .mov or other Video File Formats. Now click on the button titles Export Images to extract Image Files from the Video. Depending on the Video Duration and Dimensions, this process of Image Extraction can take a while. Yes before starting the Image extraction, you can select the output Image File Format to be either .png, .BMP, .JPG, .JPEG or .Tiff File formats. In case you wish to extract thumbnails from the Video, make sure to reduce the Image Size from 100 to let’s say 50 to have extracted Image files with half the dimensions of the selected Video File. In order to create an Image Sequence File, right click on the software and click on the Menu Option titled Export Video Wall and finally select the output File Location. That’s it, by following the steps above you can have Image Files Extracted from any Video File on your Mac OSX and easily create an Image Sequence or Image Wall File. Sharing a large Video File on Internet requires you to Upload that large Video and requires the other person to download the video. In case the shared Video File is of large size, then sharing an Image Sequence is definitely a time saver for people who are downloading your Video File. 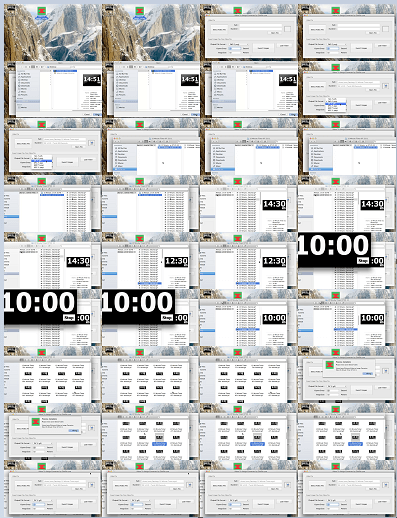 The given below screenshot displays an Image Sequence file created on Mac OS X with the Video to Image Converter for Mac. No complex Image Editing skills are required for creating the Image Sequence File and the complete process is really easy to follow and use. Whether you wish to extract JPEG Files from a Video (in either .mov, .mp4 or any other supported Video File Format) on Mac OS X or Pictures files from a Video, the software utility presented here is really handy and useful. Download the free trial and give it a try. The trial version can be unlocked by paying a one time fee of $6.99 only, however the free trial version of this software adds an extra watermark on every Image File extracted from the Video.